Everyone is invited! This Sunday, October 7 @ 10:45 we won’t worship in our usual space because we’ll be hanging out at a beautiful park on the water. 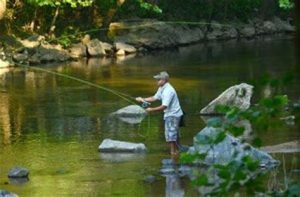 We’re going to worship together, grill some great food and eat lunch, and enjoy the water at a beautiful spot by the river in Patapsco State Park . We’ll enjoy playing in the water and we’ll be able to take a hike in the woods, check out the swinging bridge, and/or just relax and enjoy God’s creation. We’ll meet at Shelter 10 in the Avalon Area- please email Melba if you need directions. Everyone is welcome — we’d love for you to join us!